Mold is one of the most troublesome consequences of water damage and excessive moisture. This fungus is very opportunistic so if your property provides an ideal environment for it, mold will thrive. Excessive moisture, darkness, and warmth will encourage mold growth, that’s why it’s important to keep your property dry and allow some sunlight to come in. Mold is naturally present in the air; no matter how clean and purified it is, so the only way to avoid it is to control the moisture in your home. Mold requires a food source in addition to moisture to grow and it typically uses cellulose which is naturally present in drywall, wood, and other such organic building materials. Mold consumes the cellulose which weakens the building materials and compromises its structural integrity. If mold is allowed to grow, it can permanently damage the affected materials and cause discoloration. Mold also has a tendency to spread quickly so you’ll soon find it thriving in other, habitable areas of your property as well. Mold colonies will release spores in the air that can cause respiratory problems and allergic reactions, as well as spread the growth. At ServiceMaster Geneva-St Charles, we understand that it’s not enough to just remove the mold growth but also prevent it from recurring. 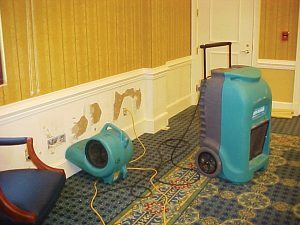 Our mold remediation services are comprehensive and effective as we use the latest equipment and techniques to remove all mold growth. We will test and evaluate your property thoroughly and identify where the mold is growing. Our technicians will compile a thorough report of the assessment to submit to your insurance company. We’ll then isolate the affected areas to protect other places on your property. Our technicians will create an effective plan to remove all mold based on our earlier assessment. We’ll use tried and tested cleaning products to thoroughly remove all traces of mold from your property. If you ignore the existence of mold, you place the health of everyone in your home or building at risk. Eventually, the damage will be so extensive that you’ll have to spend more money to replace the ruined drywall or floors completely. You can avoid this by giving ServiceMaster Geneva-St Charles a call at (630) 352-0753 for excellent mold remediation and mold removal services.